A key aim of our national program is to identify political opportunities and strategies that build the political power of LGBTQ youth on a national scale. To do this, FIERCE conducts critical research about the issues that LGBTQ youth face and organizing strategies to change oppressive policies. In 2009, FIERCE conducted a national LGBTQ youth needs assessment to identify the major challenges facing LGBTQ youth and to assess strategies used to address these challenges. Coming Out, Stepping Up: Organizing to build the power of LGBTQ youth summarizes key findings from the survey and provides recommendations for how organizations can strengthen their work to build a more effective LGBTQ youth movement. 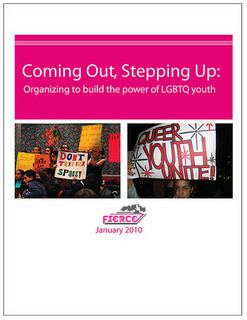 The report was released conjunction with FIERCE's first national LGBTQ Youth of Color Organizing Summit. The summit provided the first of many critical opportunities created through our national program for LGBTQ youth to share approaches on how they can shape the direction of LGBTQ youth organizing in the US. Moving Up, Fighting Back is the follow-up report to Coming Out, Stepping Up. From 2012-2013, FIERCE conducted a national survey and GIS mapping research to assess changes in national conditions and more deeply analyze laws and policies impacting LGBTQ youth. Through surveys and discussions with LGBTQ youth, we explored commonalities and differences in issues and barriers shared regionally and nationally. Report findings also draw on FIERCE's own lessons learned since launching our National Program in 2009. Preliminary findings were previewed at the 2013 Connect Our Roots National Summit and Move Up, Fight Back Northeast Regional Gathering. 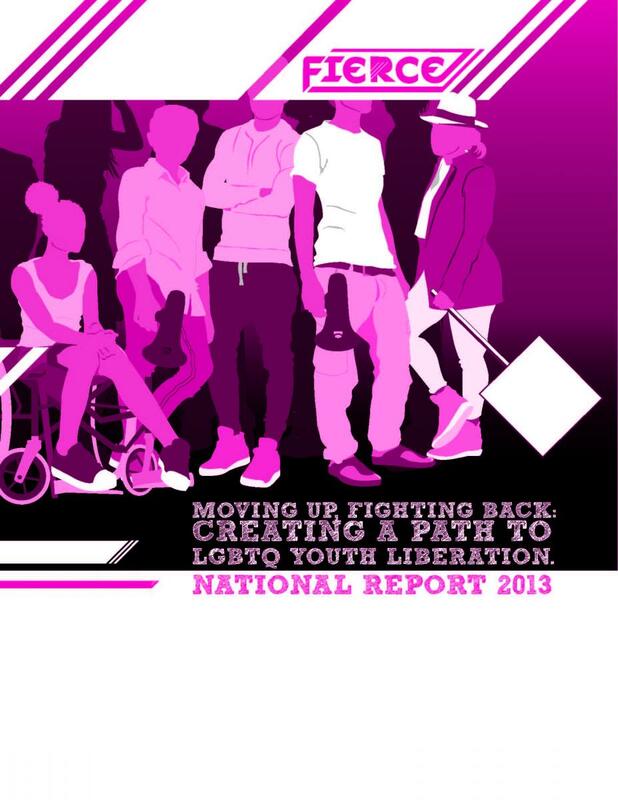 Click here to download the Introduction and Executive Summary, containing recommendations for how to move the collective work of our LGBTQ youth movement forward.